HollywoodGossip.com has published the Tom Cruise-Nicole Kidman divorce papers on the Internet, containing some stunning information. 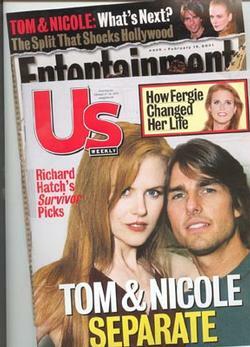 Contrary to earlier beliefs, Cruise is divorcing Kidman, not the other way around. The petition, filed in Los Angeles Superior Court, reveals that Cruise is divorcing Kidman because of "irreconcilable differences." He requested joint custody of the couple's two children, Isabella, 8, and Conor, 6, and also asked that the "court's jurisdiction to award spousal support" to Kidman be terminated. 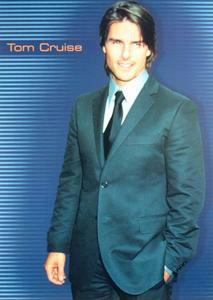 Tom Cruise, the star of 'Jerry Maguire' and 'Mission: Impossible,' was named the most powerful celebrity in the world this week by the business magazine Forbes. In Forbes' unique ranking, which quantifies celebrity by combining earning power and star power -- including press clippings, television and radio appearances, magazine cover stories and Web hits -- Cruise vaulted into the top spot in the Celebrity 100 from 20th place in 2000.